The Erasmus Student Exchange Program is 25 years old, and has enabled over 400,000 German students to study abroad. No. 400000 was LMU student Dilber Öztürk, who learned that the Erasmus experience gives one much more than ECTS points. Although she arrived back in Munich only a few days ago, LMU student Dilber Öztürk already misses Istanbul. She spent the last two semesters studying dentistry in the Turkish metropolis on the Bosporus and, with her Turkish roots, she naturally feels a particular bond with the city, which itself straddles two continents. But then she also has a special place in the annals of the Erasmus program. For with Dilber Öztürk the number of German students who have taken part in the EU’s Erasmus Student Exchange Program reached the 400,000 mark. And Öztürk thoroughly enjoyed her year abroad. “It was marvellous,” she says. It all began 25 years ago. Jean Schleiss, Erasmus Coordinator in LMU’s International Office, remembers it well. “Some people even refer to me as ‘Mutter Erasmus’,” she says, and she was actually on maternity leave when she got the decisive phone call from her boss. “You’ve got to come back,” he said. She took him at his word, returned to work, and has been in charge of the still burgeoning program at LMU since 1987. However, the whole venture got off to a slow start. Back then, Schleiss looked after fewer than 50 incoming and outgoing students – as a part-time job, and without a computer. But the program soon showed a healthy rate of growth, as ever increasing numbers of European students opted to spend time at a foreign university. At the present time, some 700 Erasmus exchange students from LMU are attending third-level institutions in locations scattered all over Europe. In the meantime, the organization of the program has been decentralized and simplified, and the network of cooperating institutions involved has been greatly expanded. Currently, LMU students can select their destination from more than 350 European universities, and the range of choice continues to grow. Istanbul University joined the program only recently, and Dilber applied to go there as soon as she heard the news. And so, she was among the first cohort of Erasmus students to arrive in the city. The criteria that a university must fulfill to be admitted to the program have also been relaxed. Formal cooperation agreements define how many LMU students may study at any one time at a given partner university – for example, how many students of English can go to London, and how many English students can be enrolled at LMU each year. For the personnel in LMU’s International Office the Erasmus program is not just part of the job, it has come to mean a great deal more to them. Among much else, Schleiss and her colleagues are often called upon to help incoming students to find accommodation in Munich. “Sometimes, students have to spend the night on my sofa,” she says. When students arrive in the middle of the Oktoberfest, at a time when hotel accommodation is booked out, one can’t just leave them to their own devices, she feels. And her overnight guests are perfectly willing to sing for their supper, i.e. to help dice the vegetables for dinner. At such times, Schleiss also sends out circulars to families who might be able to provide short-term lodgings for students. And with this level of commitment to the well-being of their “clients”, it is obvious that, for the staff of the International Office, visiting students are much more than faceless entries in a list. In the old days, Erasmus was often seen as a break from serious study, an opportunity to take it easy and enjoy the party. But that has changed. “I can count the number of parties I went to on the fingers of one hand,” says Dilber Öztürk. “Students generally have changed over the years,” Jean Schleiss observes. They now take more care to plan their Erasmus semester, and many are determined to complete their degrees within the regular allotted time. This may account for the tendency to spend only one, rather than two, semesters at the partner university – although, as Claudia Wernthaler of the International Office points out, a longer stay would often make more sense. “One has a better grasp of the language and is more fully integrated into everyday student life at the partner university,” she says. But even with the best-laid plans, a year abroad can always spring surprises on one. “There’s just so much that one doesn’t know,” says Dilber. She was prepared for some of the problems, such as more complicated administrative procedures, but unanticipated snags also turned up. For instance, the realization that the dates and times of examinations are communicated to the students concerned only on the grapevine was rather startling. “It’s sometimes a bit chaotic,” she says, with a laugh. Of course, students are not the only ones who are susceptible to the lure of the exotic. Many of their teachers would also welcome a temporary change of scene. And Erasmus can help them too, enabling faculty members and other university staff to broaden their horizons by spending time at an institution in another country. 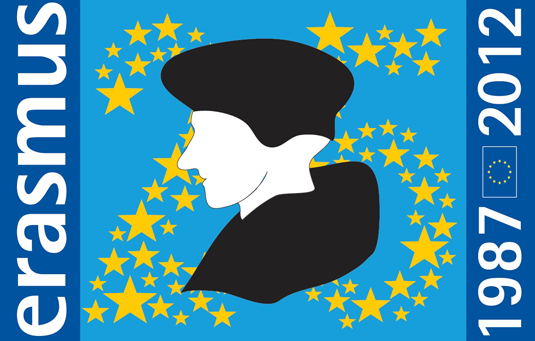 In 2014, the EU plans to restructure the program, which will be reborn under a new name: “Erasmus for All”. – And in spite of the expenditure, and the time and effort involved in implementing the current version, everyone agrees that the investment has been worthwhile – for what exchange students gain from their encounter with an unfamiliar environment is more than a quantifiable addition to their academic curriculum. “One is more flexible, more tolerant, and perhaps also more conscious of the value of one’s own alma mater than before,” says Schleiss. The participants themselves often do not realize how much they have been changed by their experience abroad. Dilber, for instance, discovered that, in many respects, she is “very German”. “I am much too direct to be really Turkish,” she says, with a grin. Nevertheless, she made lots of new friends during her time in Istanbul, and she fell in love with the city. Her nine-month stay not only made it clear to her that Erasmus is not just a matter of collecting ECTS points, it also helped her to recognize that she is both German and Turkish.